At Wilder Mahood McKinley & Oglesby, we know there is a lot to consider when going through a divorce or separation. We also know that when children are involved, the amount of considerations is taken to a whole new level. Ensuring the children involved in a separation or divorce are properly taken care of is of the utmost importance, and as part of this, child support will likely be a topic of discussion. 1: Who pays child support? In most cases, the parent who has physical custody of the child will be paid child support by the other parent. For example, if your child lives with your spouse the majority of the time, you will likely be required to pay child support to your spouse which would help them pay for the child’s care and living expenses. 2: Is child support necessary in shared custody situations? Yes, child support is usually necessary in shared custody situations. If custody is equally shared by the parents, the parent that earns more would likely pay the other parent child support. 3: How is the child support payment amount determined? 4: Are there other expenses that impact support payments? 5: When does the obligation to pay child support terminate? A child support obligation generally terminates at age 18, or when the child has graduated high school, whichever date occurs later. A parent may be required to pay child support for a child who is over 18 and has graduated high school but has a physical or mental condition that prevents the child from being self-supporting or emancipated. This determination is a question of fact, which must be made on a case-by-case basis. Parents may also be liable for support of an adult child who has been adjudicated delinquent and is participating in a court-ordered program. 6: What is the process for ending child support? According to Pennsylvania law, a parent paying child support receives a copy of a notice six months before a child support order is scheduled to terminate. The original notice is sent to the parent receiving the payments. This notice seeks to verify items such as graduation date, residence of the child, and other information to ensure the child is no longer a dependent of the parent receiving child support. Parents have thirty days to respond and the order is normally terminated if no response is received. This process takes place if and only if there are no other children for whom a parent pays child support under the same order or there are no children under the order designated as special needs. Otherwise, the child who is no longer dependent is dropped from the order and a modification of the order takes place accordingly, as directed under Pennsylvania law. 7: Is there an obligation to provide support for a child to attend college? Absent an agreement between parents, there is no duty for a parent to provide a college education for their adult child. However, an agreement to pay for a child’s college expenses and/or education is binding and enforceable. 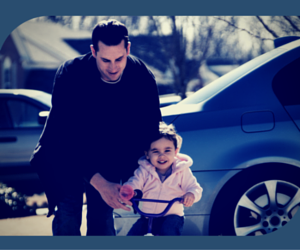 Child support is a difficult topic for many parents going through a separation or divorce. The topic doesn’t have to be one of negative feelings, though, and can be resolved by agreement without extensive litigation.